The administrators Google Apps accounts can now manage different tasks directly from their mobile phones. This feat is now possible with the launch of a dedicated Android application. Add or edit a user group, add members, view, or delete groups. Access the log of the administration panel, and filter logs by administrator account, date, or event type. This application is dedicated to holders of Google Apps for Business and Google Apps for Education accounts. Download Google Admin on Google Play. Published by jak58. Latest update on May 30, 2013 at 08:26 AM by jak58. 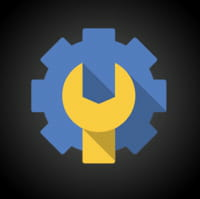 This document, titled "Google Admin: An Android application for administrators," is available under the Creative Commons license. Any copy, reuse, or modification of the content should be sufficiently credited to CCM (https://ccm.net/).